Daniel Speak is Professor of Philosophy at Loyola Marymount University. Philosophical investigations during the last 50 years have shed a good deal of new light on the ancient problem of evil. Daniel Speak?s judicious book covers all these developments, beginning with Plantinga?s free-will defense and working through all of the most important contributions to the subject up to the present day. He discusses Rowe?s evidential argument from evil, the skeptical theists? response to Rowe, Schellenberg?s divine hiddenness challenge, and much more. This book will be a great resource for anyone interested in the compatibility of God and evil, from true believer to die-hard atheist. 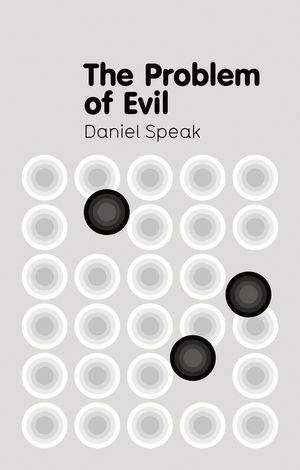 In this admirably clear and accessible book, Dan Speak focuses on the strategic. Overviewing discussions among analytic philosophers since the mid-twentieth century, Speak x-rays the dialetical structure of both defense and theodicy and supports a version of skeptical theism. Those who want to delve into the logical and evidential problems of evil and the problem of divine hiddenness will find it an extremely valuable map.